The FDIC has amassed a large portfolio of nonperforming real estate loans seized from failed banks. While the agency has managed to broker deals with most acquiring institutions recently to absorb ""essentially all"" of the failed banks' loans, some transaction announcements still contain the language, ""the FDIC will retain the remaining assets for later disposition."" In order to fast-track the sale of these assets, the FDIC is turning to the secondary market, with an offering of $409 million of mortgage bonds from 17 bank closings expected to price mid-week. 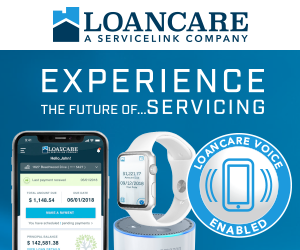 In an effort to help investors overcome the barriers to successfully investing in bank-owned homes in the Chicago area, Mack Companies, a home redeveloper headquartered in Tinley Park, Illinois, recently introduced the Real Estate Cash-flow and Appreciation Program (RECAP). According to Mack Companies, RECAP represents the lowest cost, highest return on investment, and easiest approach for small investors to profit from high-quality, positive cash-flow real estate. Multiple bank closures have become commonplace on Friday evenings, but last week, regulators shut the doors on just one institution-1st American State Bank of Minnesota. The bank operated two local branches in Hancock, with $16.3 million in deposits and $18.2 million in total assets. It was acquired by Community Development Bank, also in Minnesota. Tampa, Florida-based ProVest, a provider of foreclosure services, has named Jim Ward president. Ward, who previously held the position of vice president of operations, will be responsible for business development, as well as information technology and operations.